If this sounds weird, remember, NBA2K16’s career mode isn’t like your typical sports game. It’s as much an RPG as an exercise in basketball simulation, with a storyline, characters and narrative cutscenes. 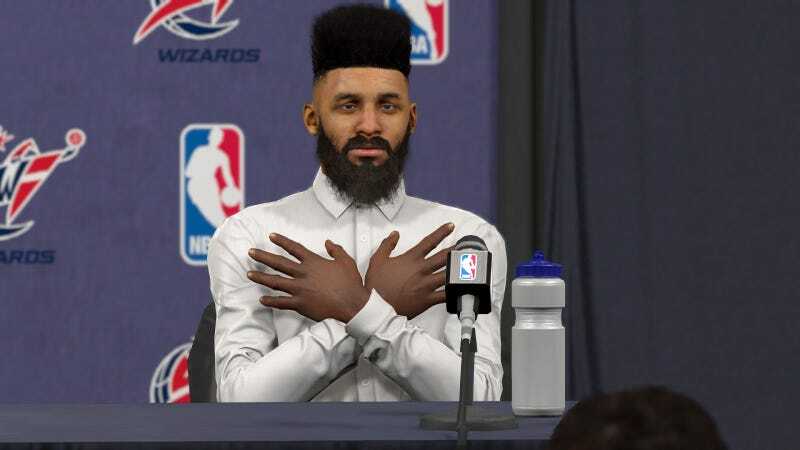 Lee says “It’s about the trials and tribulations of life on a big stage with the money, fame, temptations, family members, the press, fans, all that stuff.” Which is what every NBA2K career mode is about, so let’s instead focus on the fact that the character’s name will be “Frequency Vibrations”. Maybe that’s just the default, like “Link”, and everyone will replace it instantly (especially since 2K games have long let you cobble together commentated player names out of the NBA’s existing roster). But maybe it’s not. And everyone will spend 10 months playing a video game where the main character is a 6’5” dude named Frequency Vibrations.